Based upon decades of experience helping market research professionals advance their careers, Reeve & Associates would like to periodically share our perspective on the job market. Reflecting on 2018 and considering activity levels in early 2019, we would like to share our perspective on the current state of the market research staffing and job market. In 2018, there was great demand for MR jobs--specifically for analytics, sales and digital marketing professionals. Candidates with skills and experience in these areas had a myriad of opportunities. Passive (or currently employed) candidates required a 20% increase to even consider a career change. But working through the process, they resolved on a 12% to 15% increase to accept a new position. Offers of 10% or less -- including lateral offers -- were universally declined. The unwillingness of employers to recognize this market force made it more difficult for hiring managers to fill vacancies or expand their market research teams -- a trend we expect to continue. Hiring managers must continue to streamline their decision-making process -- making faster decisions on candidates. Excessive or unexplained delays are the second-most prevalent reason why qualified candidates exited the hiring process. The first is uncompetitive compensation. Employers must objectively assess their true opportunity cost associated with delayed hiring and inappropriate offers. Time is actually money for the employer -- and the candidate. In 2019, we expect greater hiring demand. Employers that move quickly have the best chance of securing the best talent. Through this demand, candidates will have a larger pool of jobs from which to choose. So, candidates must evaluate opportunities based upon their career objectives as well as their financial needs. If you're looking to hire in 2019, please contact us or call us at 203-968-2773. Likewise, if you're seeking a new career challenge or advancement opportunity, please share your updated resume with us. Below are previous summaries reflecting our perspective of the market research job market. Given our successful placements during the first half of 2018, we wanted to share our thoughts and experiences regarding the current job market and our outlook for the second half of 2018. The interview process remains too long. Qualified candidates often accept other positions if the time between the first interview and the offer exceeds eight weeks. Companies need to move quickly to avoid losing quality candidates to other firms. Compensation levels are insufficient. Given most experienced professionals are currently working, an increase between 15% and 20% is required to attract and secure talent. Interested candidates will be harder to find. As skilled professionals accept new jobs, the pool of experienced talent willing to make a career change will dwindle. Time is money. There is a calculable cost of delaying hiring -- either in lost sales/revenue or in the ability to drive additional profits or support additional business. Choose wisely. Focus upon opportunities that meet your career aspirations, require the skills you currently possess and are financially viable for you. Do your research up front. Clearly communicate. Share where you are in the search process -- and when you're likely to make a decision. And be clear about your salary, title and responsibility expectations so everyone's time is effectively used. Be decisive. When you receive multiple offers, carefully consider the benefits and disadvantages of each. And when you arrive at a decision, stick with it. With a New Year and a new tax program, 2018 is shaping up to be a strong year for hiring for both companies and candidates. Good candidates will be harder to find. Passive candidates need convincing to make a career move -- led by career and skill development opportunities. Plan ahead. It takes approximately 50 days to staff the typical MR position. If it takes longer, the job description and/or the salary need to be reviewed and revised. 2018 is the year of the candidate. MR professionals who seek new responsibilities and skills will find new, rewarding positions. Don't 'self-eliminate' and explore all opportunities. Wages will increase. Expect to pay a qualified, currently-employed candidate 15% to 20% more than their current compensation to join your team. It sounds like a great deal but it's a small fraction of the lost revenue without them. Additional staff will be needed due to lower corporate taxes. As demands for business services grow, additional MR talent will be required to meet increased demand. With 2017 now underway, Reeve & Associates expects the tightening within the labor market to continue -- which is positive news for professionals considering a new position. Below are several key trends we have experienced during the second half of 2016 and expect to continue into the first half of this year. Accelerated hiring process. In 2016, it took slightly more than two months to fill a position -- down substantially from four months in 2015. Candidates that remain patient coupled with hiring managers who streamline the interviewing process have the best chance for success. Selective recruitment. On average, more than 100 candidates are evaluated for any given position. Of those, six to eight will participate in telephone interviews -- with half invited for in-person interviews. Candidates who research their potential employer and speak with current employees do the best on interviews. Intensive interviews. While the interview process varies from firm to firm, it generally requires a phone interview followed by two separate days of in-person interviewing to secure a job offer. It is worthy to note that each day of interviewing typically involves meeting multiple individuals. Employers that limit call-backs and maximize the participation of all decision-makers have a higher success rate of landing the best candidate. Increasing compensation. Most employed candidates are seeking a 20% increase in total compensation to make a career change even if they haven’t had an increase or very little in the past year. Candidates with realistic compensation expectations coupled with employers who can offer a 12-15% increase in compensation are those that make successful hires. Skills testing. It is becomingly increasingly common for candidates to participate in a skills test prior to receiving an offer. Candidates should be prepared to demonstrate their abilities to potential employers -- not just talk about them. Work from home. Also emerging as a more accepted trend is the ability for professionals to work remotely. Employers need to understand that geographic flexibility is becoming a decision-making factor for qualified candidates. Decide Quickly. Managers who decide quickly can hire the very best candidates. Everyone wants to "feel the love" and a lengthy process causes candidates to lose interest, embrace their current job or interview elsewhere. Managers who decide quickly can service more clients -- earning greater revenue -- and prevent current employees from being overworked -- lowering churn and the time/expense of re-staffing. Set a Target Hire Date. Mark your calendar when you want or need your new employee onboard and work your way backwards toward key benchmarks. Our data shows employers must complete the telephone and in-person interview process within 30 days. 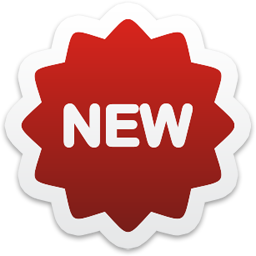 Offers must be extended within 45 days to have your new employee provide proper notice and start with you in two months. No task, including staffing, is successfully accomplished without a schedule. Sell Your Company. Be aware that as you interview candidates, candidates interview you. Develop a list of job and company advantages and make sure they are persuasive to you. Then message those points throughout the interview process. Hiring works best if you can engage and attract talent. As often requested, we wanted to share our views and experiences regarding the employment market for research professionals in 2015. The bullets below represent highlights with additional statistics and commentary available by clicking on the corresponding image. Employees today are more comfortable and more satisfied with their jobs -- despite working much longer hours. Fortunately, more than half of all organizations expect to hire MR professionals in 2015 -- with greatest demand for entry-level researchers, Project Directors and Research Managers. Compared to one year ago, salaries are up by just under 3% with the "typical" researcher earning a salary of nearly $105,000. To help compensate for modest raises, most employers have increased annual bonuses by nearly one-third to an average of $25,000. 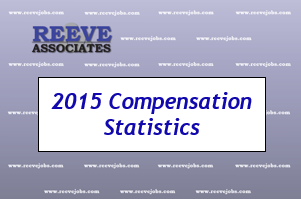 Of course, compensation varies by job title, years of experience, geography and other factors. For example, those in corporate research departments tend to earn more than their supplier counterparts. And researchers working in engineering, retail, banking and CPG have the greatest total compensation package. The number one reason job offers are declined continues to be insufficient compensation -- cited by nearly half of all individuals who pass on a job. Today, the typical researcher seeks a 23% increase to make a career move. But those who are satisfied with their job or not currently exploring career opportunities demand closer to 30%. With the New Year underway, I wanted to share our experiences regarding the current state of Market Research Staffing and our 2014 Outlook. Given time is precious for everyone, below are several key points reflecting the unique perspectives of candidates and hiring managers. For additional “color,” please take 3 minutes (literally) to watch our video. While the number of advertised MR jobs continues to grow, so have the requirements and responsibilities -- reflecting greater demand for more experienced researchers. Regretfully, the interviewing process remains lengthy and often full of "hurry up and waits." Patience is essential. Offered salaries remain relatively stable and require negotiations to secure the increases necessary to encourage a researcher to change jobs. There are fewer qualified candidates as those with needed skills remain generally less eager to make a career move. To hire qualified candidates, employers need to compress the hiring process -- which is currently taking months and discouraging candidates. Those participating within the interviewing process need to remember that candidates are also interviewing employers -- so professionalism is essential. Employers need to prioritize skills and be willing to make the necessary tradeoffs between "must have" skills and salary. During the first quarter of 2013, we have seen an increase in the number of advertised jobs, more clients requesting assistance, and generally greater interest in hiring. Overall, businesses are doing well -- maintaining and even increasing profits. But as employers seek experienced candidates who possess a complete skill set, the vast majority of those hired are less seasoned and require on-the-job training. Generally, this is driven by continued economic uncertainty and company budget constraints. This staffing approach tends to extend the hiring timeline as managers determine the right balance of skills, experience, and compensation. There continues, however, to be a clear "compensation gap." Employers want to pay less, and candidates want a sizable increase (generally an unrealistic 20%) to leave their current job. Given raises will be in the 2-3% range this year, those candidates seeking new challenges or an alternative environment might consider a 5% to 10% increase -- still twice the expected increase in 2013. Given the stock markets are forward looking indicators, we expect the company profits will continue and hiring will necessarily follow--particularly in Q3 and Q4. In summary, staffing slowed toward the tail-end of Q2 and continues through Q3. Employers extending offers seek to contain salaries -- resulting in most offers being declined. However, the demand for experienced researchers remains strong. We are optimistic that the salary disconnect will be resolved after the Presidential election. We encouarge you to watch the video and review the bullet points below for more insights. General state of the U.S. and global economies. Coming Presidential election with many companies adopting a "wait and see" attitude. Offers to experienced researchers continue to underwhelm employed candidates – with most being rejected. Employers seek experienced professionals but are not willing (or allowed) to pay for it. Extended offers are generally 10% to 20% below market value. Finance and HR are directed to place downward pressure on salaries -- leaving many hiring managers "high and dry." Researchers who understand and measure the impact of mobile/smartphone marketing and advertising. MR professionals who can analyze large datasets – including behavioral data. Sales – anyone who can help move the topline. Field managers as automated technologies continue their advancement. Qualitative researchers as social media begins to supplant focus groups. What’s to come in Q4 and 2013? Post election, we expect additional clarity will lead to actual business planning and hiring. Some firms will staff in Q4 enabling new hires to start in January, 2013 -- a new budget year. MR professionals will seek new career opportunities given historical raises of 0% to 2% raises over the past four years -- and sheer exhaustion levels. Employed researchers will demand an increase of 20% to accept a job -- half of which will go toward restoring lost compensation from the past four years. The number of career opportunities will be consistent with 2011. Hiring remains to fill attrition-led vacancies and alleviate workload rather than support new initiatives. Expect greater hiring by Suppliers compared to Corporate research departments. It will be easier for those currently employed (compared to students and those searching for work) to land a new job. Employers seek experienced researchers but are willing to trade fewer years of experience to attract a larger talent pool and pay lower salaries. Expect an increasing focus upon measuring digital behaviors, activity, and media consumption. There is a growing need for data aggregation and large dataset analysis skills. Of course, there is still the need for traditional researchers -- research directors, analysts, and project managers. Other sectors such as CPG continue to hire at traditional levels. Employers will continue their efforts to manage down salaries compensating with signing bonuses. We expect 3 out of 4 offers will be rejected by actively working MR professionals. Salary increases for those securing new jobs will range between 15% and 20%; otherwise annual increases will range from 0% to 3%. For more frequent staffing insights within the market research industry, please feel free to connect on LinkedIn (http://www.linkedin.com/in/philreeve) follow us on our new Twitter account at http://twitter.com/reevejobs. You can also view the ReeveJobs Channel on YouTube as well. During the first quarter of 2011, we expect the pace of hiring in the first half of 2011 to dramatically accelerate. Employers will seek to fill jobs that have been vacant for months -- or even years. Weary MR teams need some new blood to handle expanding workload and to revitalize their departments. We clearly see the economy stabilizing resulting in growing confidence for the employer and the candidate. To help hiring managers and candidates, we conducted a survey exclusively among market research professionals. We believe the results are critically important to understand the current status of the job market for MR professionals. Please take a minute to view our Q1 Outlook video. We're confident the survey results will help everyone looking to staff MR professionals. In the third quarter of 2010 employers appeared ready to hire as the economy continued to stabilize and many firms appeared “motivated” to fill their open positions. However, the same game often played out. Many employers were unwilling to pay market prices for research talent—continuing to insist on lower salaries resulting in many unstaffed positions. There is a growing list of employers who have regretted this approach as quality candidates refused to leave their current job, or accepted offers reflecting true market salaries. In an effort to meet their budget, some employers hired less experienced researchers only later to express some regret with their own hiring decision. Based upon an increase in the number of job ads and calls we have received for recruiting assistance, we expect more companies will attempt to hire in Q4. However, it remains unclear if hiring managers are willing to pay what it appropriately takes to staff an experienced research professional. We believe the battle between hiring managers and Human Resources for higher salaries will intensify in Q4 and well into 2011. Bottom line: we expect a brief burst of hiring in Q4 with employers keeping a very tight reign on salaries. Only time will tell if employers can see the forest for the trees as many research positions remain unstaffed. Despite the summer months acting as the traditional vacation season within the MR industry, we are seeing an increased demand for researchers at all levels. After two years of downsizing, companies want (and in our opinion--need) to hire. Unfortunately, many employers continue to believe candidates should be "pleased" to receive any job offer in the current economy. Few seem to understand good candidates--who are always in demand--need to be "wooed" with attractive offers to secure an acceptance. Candidates with whom we speak are increasingly open to discussions and exploring new positions but remain cautious about making a career move. Interestingly, we are also seeing employers make aggressive counter offers to keep good researchers on their teams. Before accepting an offer and resigning, candidates need to consider how they may handle counteroffer situations. We will gladly help candidates navigate this important topic to help maximize their long-term career potential. As we approach the end of the first quarter, I wanted to share our perspective on the job market with you. Fortunately, the demand for hiring has increased significantly. Employers are looking to expand their teams with quality researches to reduce the current workload and tackle new projects. However, the salary expectations of many employers (based on their job requirements) remain out of line with historical metrics and the value delivered by seasoned MR professionals. Consequently, many employers are being "penny wise and pound foolish" as they continuously advertise for jobs they cannot fill due to unreasonably low salaries. We urge candidates to ask employers how long they have been trying to fill any given position. As you know and have likely experienced firsthand, there is a greater workload being placed upon MR professionals who are currently employed -- many who have not received a raise or bonus in the past one or two years. And with the additional stress of more demanding workloads, cracks are appearing in employee's goodwill toward their employer. Many MR professionals are open to or actively exploring career opportunities. Additionally, many MR professionals also tire of providing minimal quality work in an effort to address the overwhelming demands for their services. And while the hiring process remains slow, the imbalance that has emerged over the past two years is now beginning to swing in favor of the candidate. Importantly, candidates will experience greater compensation as the demand for MR professionals grows throughout the year. Our suggestion is that it may finally be time for MR professionals to take an objective review of their contributions, workload, career aspirations, and compensation and see how they match to their current position. We hope you will find congruency. But if you don't, this spring may be the time to take a look around after a two year winter.